In 1820 just south of the tiny village of Greenwich and about a miles and a half north of the established city of New York lay the vast estate and mansion called Richmond Hill. Built in 1760 by British Major Abraham Mortimer on land granted to Trinity Church, the property had already played important roles in American history. Headquarters of General George Washington in April, 1776, it was where early tactics of the Revolutionary War were laid out. Later the British would occupy the mansion again, only to become home to the new Vice President John Adams after the war. Around 1797 Colonel Aaron Burr leased the home, entertaining in lavish fashion until public disfavor after his duel with Alexander Hamilton forced him to abandon the property. Fur trader John Jacob Astor seized the opportunity, taking over the long-term lease (Astor would be 103 years old when it expired) on the estate from Trinity Church for a nominal sum and laying out streets and housing plots. It was a brilliant move by Astor. Not only was Greenwich Village expanding rapidly but the city itself was spreading northward. While the grand porticoed mansion would remain for nearly three decades more, the grounds and gardens around it quickly filled with handsome Federal-style residences. Among the charming enclaves was Charlton Street, named after Dr. John Charlton the president of the New York Medical Society. Here two matching houses were built at Nos. 37 and 39 in 1827 by builder-carpenters; No. 37 assuredly constructed by John Gridley. And as the brickwork continues without a break between the two facades, he was most likely responsible for No. 39 as well. The two-and-a-half story brick homes, three bays wide, boasted rooms with marble mantles of the latest fashion, exquisitely carved woodwork and elegant plaster detailing. Outside, Flemish bond brickwork, elegant wrought-iron basket newel posts and delicate leaded overlights above crisply-fluted Ionic doorway columns let passersby know that no corners had been cut. Only two years after their completion, a fire raged through both homes. In 1829 they were rebuilt. Because the damage happened while the Federal style was still in vogue; there were no noticeable changes between the original and the renovated buildings. The homes saw a variety of residents. In 1847 John Tappan, a successful grocer, was living in No. 37 surrounded by similar merchant-class neighbors. By the end of the 19th century No. 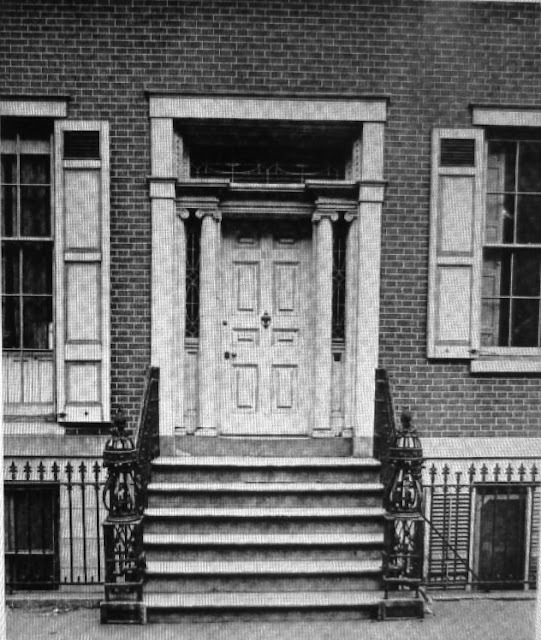 37 was the headquarters of the Third Assembly District Tammany Club. Here on November 3, 1897 a peculiar wedding occurred. The Tammany group would remain here into the early 20th century, when it appears that both No. 37 and 39 had become boarding houses. At No. 37 Louis A. Valente, a lawyer, was living in 1910 as well as Dr. A. Maroni. At the same time next door were tenants like Joseph McArdle, secretary of the Amalgamated Glassworkers’ International Association of America; and Mary S. Snow, Ph.M, Lecturer on Women’s Work, who would remain for over a decade. The magazine need not have been worried. Although a large swath of homes along the south side of Charlton Street were demolished for new development, the north side, including Nos. 37 and 39, remained almost entirely intact. 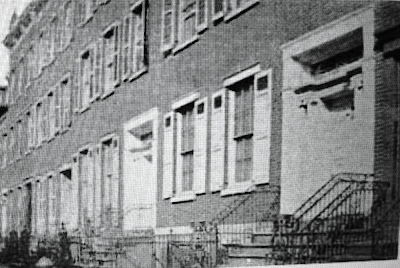 In 1921, the year after writer Marianne Moore and her mother lived briefly in No. 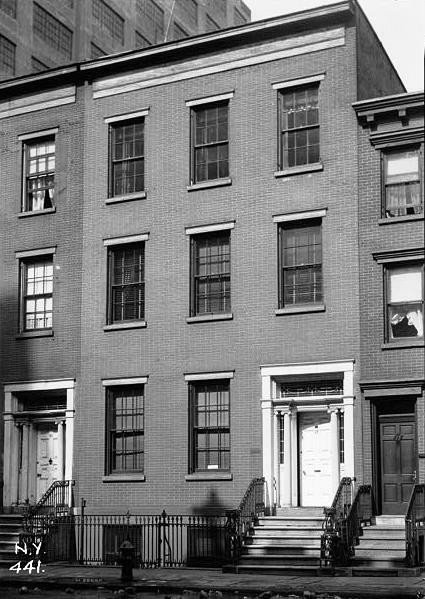 39, architects Francis Y. Joannes and Maxwell Hyde carefully renovated the house for multifamily use. 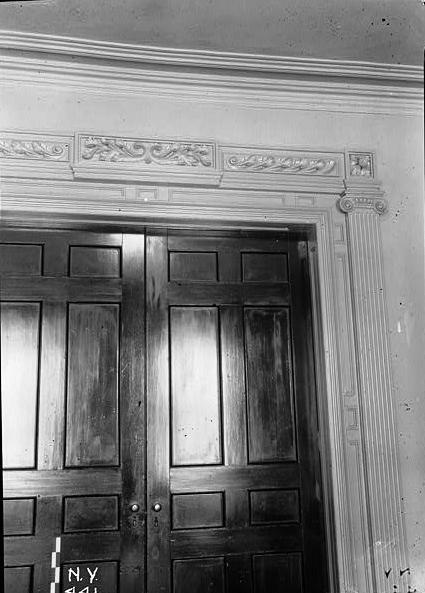 The Architectural Record applauded the sensitive handling, publishing a photograph of the exquisite and preserved Federal doorway. Ninety years later the doorway is unchanged. In 1933 the National Park Service and the Library of Congress instituted the Historic American Buildings Survey to capture “America’s built environment.” Among the first structures to catch the eye of the Survey was No. 37 Charlton which was carefully preserved on film by photographer Arnold Moses in 1937. By the second half of the 20th century the quaint Charlton Street block had also caught the attention of moneyed New Yorkers who began restoration. While No. 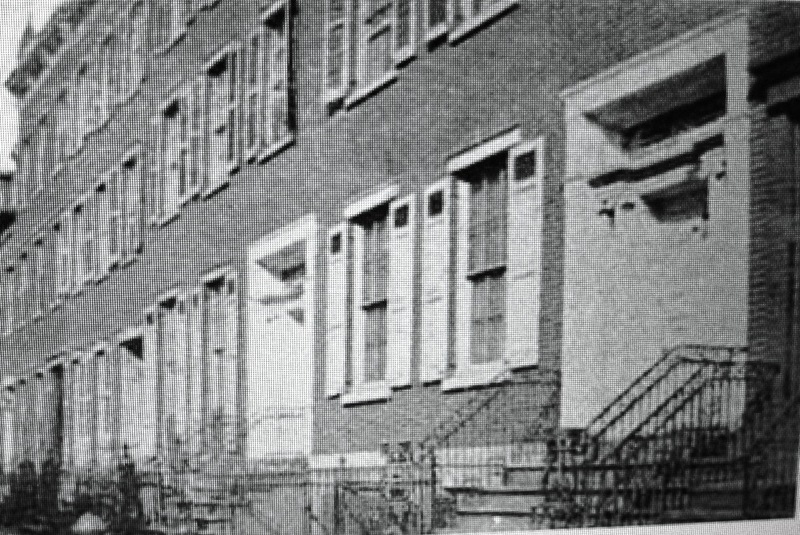 39 remained divided, with one apartment per floor, Wall Street mogul Richard Hampton Jenrette purchased No. 37 in 1978 for $250,000. Although it, too, had been used as a boarding house, unlike its next-door neighbor, it had never been divided. Jenrette would also restore significantly historic properties such as the Charleston, South Carolina Robert William Roper House and Milford Plantation, also in South Carolina. Here he worked with Edward Jones in the restoration and decoration of No. 37. 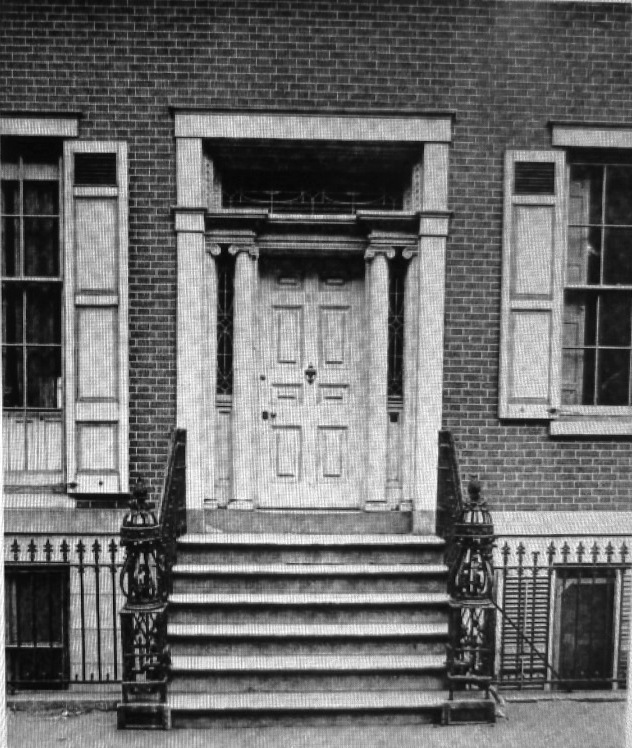 Original Duncan Phyfe furniture, made in New York at the time the house was constructed, filled the rooms along with Federal-style window treatments. Nine years later Jenrette sold the house for $2 million.